Cell division is essential for the survival of multicellular organisms that contain renewable tissues. However, cell division also puts organisms at risk for hyper-proliferative diseases, the most dangerous of which is cancer. Genomes are continually damaged by environmental insults, oxidative metabolism, and, in dividing cells, errors in DNA replication and mitosis. Depending on the level and type of damage, cells may attempt repair, irreversibly withdraw from the cell cycle, or die. In the dividing cells of renewable tissues, the major risk from genomic damage is that of somatic mutation. If a somatic mutation confers a proliferative or survival advantage to cells, or causes the genome to become unstable (and thus hypermutable), the stage is set for neoplastic transformation and the development of cancer. 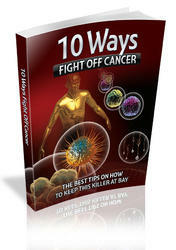 Cancer is, of course, a major age-associated disease (1-3). Cancer cells almost invariably harbor chromosomal aberrations, which are very likely necessary for the evolution of increasingly malignant phenotypes (3-5) (Fig. 1). Complex organisms have evolved at least two cellular mechanisms to suppress the proliferation (used here interchangeably with "growth") of cells at risk for neoplastic transformation: apoptosis (programmed cell death) and cellular senescence (or the senescence response). Apoptosis causes controlled nonlytic cell death in response to cellular damage or physiological signals. Cancer cells frequently acquire mutations that make them less sensitive or insensitive to apop-totic signals or their execution (6,7). The senescence response, by contrast, irreversibly arrests growth when cells experience potentially oncogenic events. In addition, senescent cells acquire changes in function. Cellular senescence is a major barrier that cells must overcome to progress to full-blown malignancy (8-11).